This new model from Da Vindice embodies an encounter between the tourbillon, a symbol of watchmaking excellence and traditions, and a resolutely 21st century design. Topped with the brand’s emblematic lily motif, the tourbillon sits majestically enthroned at 6 o’clock, while the dial reveals other beauties including generous Roman numerals standing out against an elegant guilloché background. 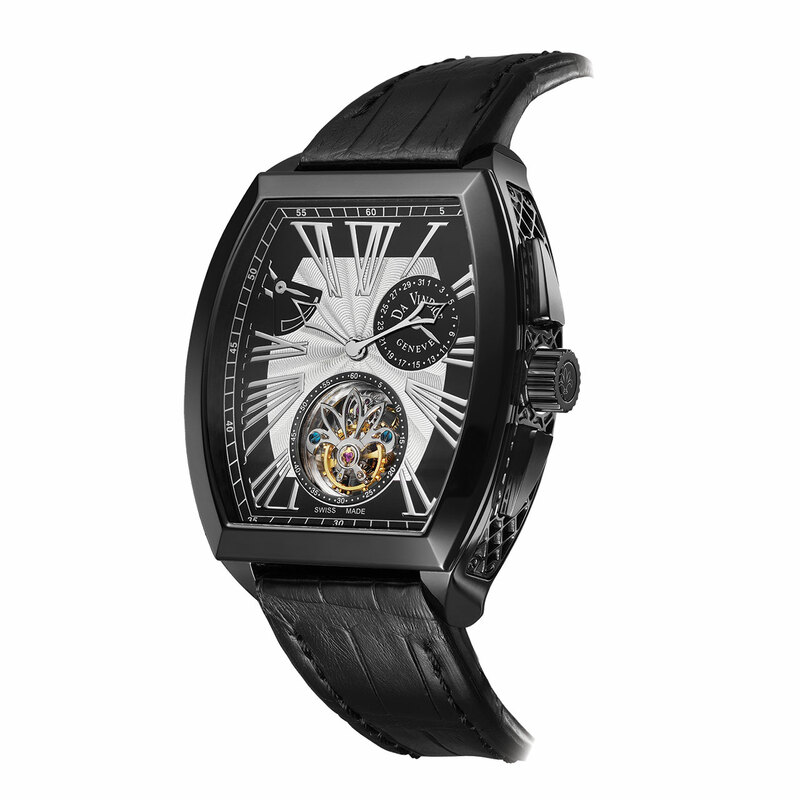 The honeycomb motif adorning the sides of the tonneau-shaped case completes the total-black composition.